This brand needs no introduction. 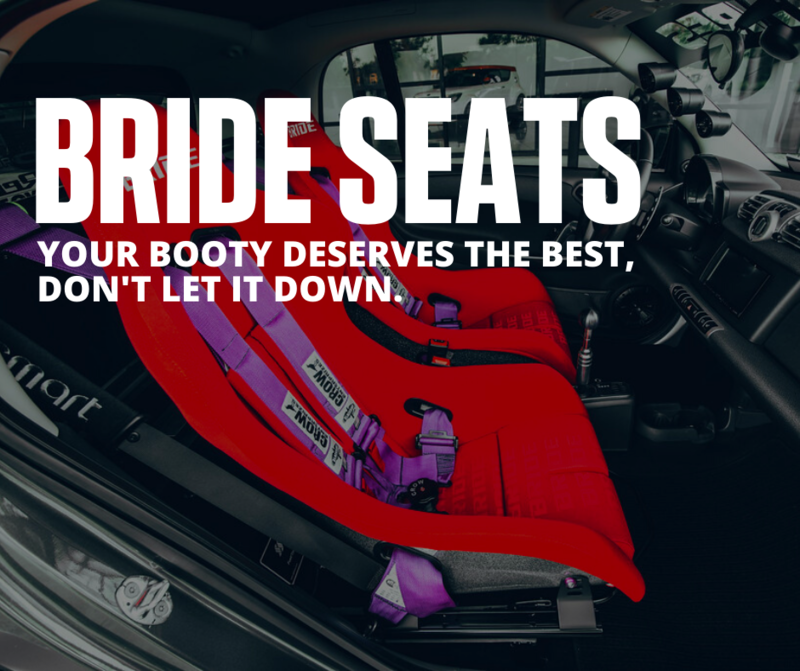 Easily one of the most recognizable seat brands in aftermarket history, Bride has decades of experience in making the perfect sport and racing seats. Where your style is more understated or way out on the other end, Bride has you covered and so do we with specialists on staff to help you find your perfect seat.